New York - March X, 2012 - BBC Home Entertainment is bringing your favorite consulting detective back on May 22, 2012 when Sherlock: Season Two hits the streets on Blu-Ray and DVD. Benedict Cumberbatch (War Horse, the upcoming Star Trek 2) returns as Holmes and Martin Freeman (The Office, the upcoming The Hobbit) is back as Dr. John Watson in three new 90-minute stories from writers and executive producers Steven Moffat (Doctor Who) and Mark Gatiss (The League of Gentlemen). Inspired by Sir Arthur Conan Doyle's classic tales of the brilliant crime-solving icon, Sherlock: Season Two is a spectacular blend of the 21st century and the original wit and spirit of the mysteries that will have keep you on the edge of your seat. The second season premiered in Canada on February 2, 2012 on BBC Canada, and will launch in the U.S. on May 6, 2012 as part of Masterpiece Mystery! on PBS. In A Scandal in Belgravia, the first episode of the new season, Sherlock gets embroiled in the complex plans of the dangerous and desirable Irene Adler (Lara Pulver, True Blood), and finds himself employing every one of his remarkable skills to survive as the unlikely duo square off in a battle of wits...and perhaps emotions. In The Hounds of Baskerville, the increasingly popular detective and his companion Watson travel to the wilds of Dartmoor to investigate the claims of Henry Knight (Russell Tovey, Being Human) and discover a supernatural beast lurking in the eerie landscape. Meanwhile, Jim Moriarty (Andrew Scott, The Hour) is still out there in the shadows, and is determined to bring Sherlock down--at whatever the cost--in The Reichenbach Fall. Nothing is what it seems, and nothing will be the same again, when this thrilling season reaches its conclusion. 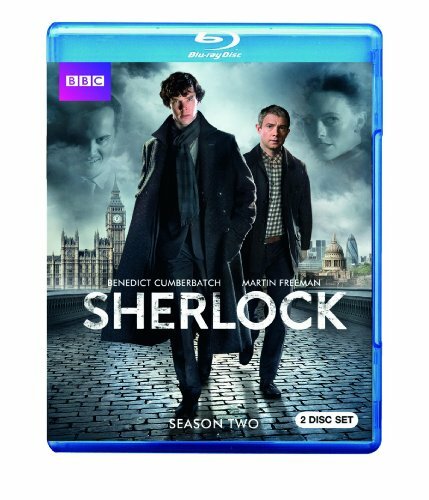 The first season of Sherlock, now available on DVD, received 4 primetime Emmy(R) nominations and won a Peabody Award. USA Today called it ...the most unabashedly entertaining new show of the season... and The New York Times said The appeal is elementary: good, unpretentious fun, something that's in short supply around here. BBC Worldwide is the main commercial arm and a wholly-owned subsidiary of the British Broadcasting Corporation (BBC). BBC Worldwide Americas brings together all of BBC Worldwide businesses across North and South America. The company exists to maximize the value of the BBC's assets for the benefit of the UK license payer, and invests in public service programming in return for rights. The company has seven core businesses: Channels, Sales and Distribution, Content and Production, Consumer Products, Digital Media, Magazines, and recently formed Brands, Consumers & New Ventures. Under these businesses fall two key brands in the U.S. - digital cable channel BBC America and a bi-coastal production arm responsible for the smash hit Dancing with the Stars for ABC.